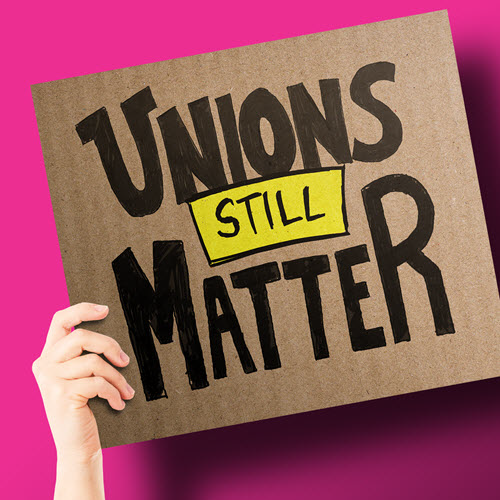 Tell us why unions matter and you could win $1,500 | Unions Yeah! Since the beginning of the Why Unions Matter contest, the National Union of Public and General Employees (NUPGE) has awarded 45 prizes to people for their creative entries. The mission of the contest has been to highlight the work of unions and how it impacts workers, and society, every day. It is a great and resounding truth that unions make life better for millions upon millions of people in very concrete ways every day. But this is too narrow a truth. Unions give us more. Something less tangible but more enduring. They give us an idea: the idea that our lives matter. To help celebrate the countless ways in which unions have help spread this idea, NUPGE has been inviting all Canadians to share with us, in their own personal way, Why Unions Matter. There won't be any topics to write on just the theme of why unions matter to you. In the past, we have had videos and songs entered, essays and artwork. And poems. Many, many poems. So many poems, in fact, that we've altered the rules of the contest. Send us your songs, videos, creative writing or even, interpretive dance. From here on in, no poems will be accepted. We'll take almost anything else creative. Even, a video depicting the value of unions in interpretive dance will be accepted. And as a reward for stepping up to this challenge, NUPGE will be increasing the prize value to $1,500! So be creative. Be bold. Be heartfelt. Bring us your best. We know you can do it!